This worksheet was designed for kids. 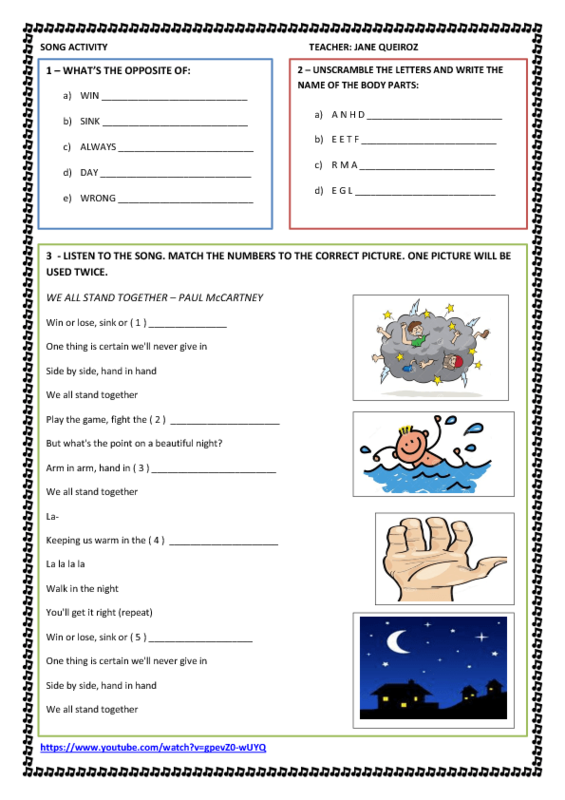 It deals with vocabulary related to body parts (unscramble the words question) and writing the opposites as a pre-listening activity. 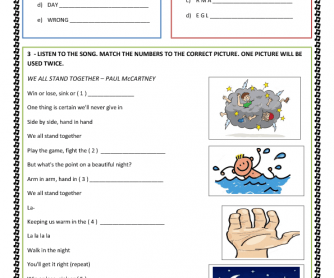 When listening to the song, students have to match the missing words to the pictures shown. There's also a link to the video.